Don't forget to tune in this Sunday Oct 13 for the season 4 premier of The Walking Dead. Then listen to our show, The Walking Dead Girl podcast, right after for our walk through review, fun discussions and predictions. We give a summary of our trip to Universal Studios, Halloween Horror Nights. We had an awesome time and got sucked into the world of The Walking Dead. We read some fun listener email. We review season 3, episode 9 of TWD. We see Daryl leaving the group to run off into the woods with his brother – good luck! Rick is losing control of his mind and hallucinates images of Lori. This causes him to scare off Tyresse and his group. Even though we tried hard to finish our season 3 reviews before the start of season 4, we couldn't make it. Something to do with high school homework… No fear. We will continue our season 3 reviews and finish them over the next few weeks. 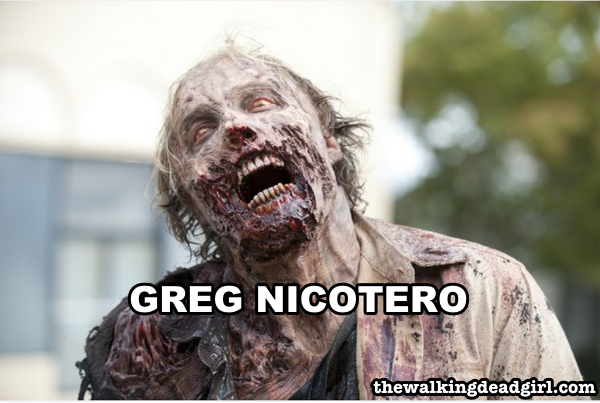 Reminder that you can still buy tickets for Walker Stalker Con. We'll be there to bring you all the news from the event into our podcast. Like our Facebook page to see photos of the event, when they're available.